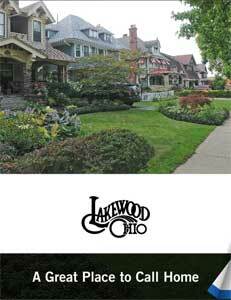 The city of Lakewood, Ohio, is located along the shores of Lake Erie, about five miles west of Cleveland’s downtown Public Square. 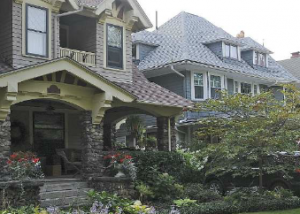 Its 5.6 square miles are composed of a vintage residential community with diverse housing from modest single homes and apartments to luxury “Gold Coast” condominiums and homes of distinct architectural design within a national historic district. Lakewood is recognized regionally for its tree-lined streets, excellent school system and outstanding municipal services, and is also home to more than 1,000 businesses of myriad types and sizes. Its mayor of four-plus years, Michael Summers, suggests that the city has been on the uptick lately thanks to an old-school design and an infusion of energy from a new-school generation of residents. “We are among the younger communities in the region,” he said. 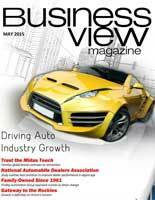 “The median age is about 34 years old and it’s been dropping. We’ve gotten a real good boost from a lot of Millennials — 20- and 30-somethings – who want a local, walkable community. The youthful infusion has hastened the return of vibrancy to a previously moribund bedroom community, signaled by a resurgent housing environment in which available homes are being snapped after only a few days on the market – often after multiple offers and for more than the asking price. Summers said about 20 percent of the city’s working residents have jobs in Lakewood, while the remaining 80 percent are heading elsewhere for primary employment – primarily Cleveland. The city itself has an infrastructure-centric workforce that public works director Joseph Beno described as “aging,” thanks to a slower-than-previous hiring rate over the last 10 to 15 years. The slowdown has resulted in collection of “experienced” personnel, he said, which translates to high-quality training opportunities for the new staff that is brought on. About 10 percent of the public works roster exited in 2014 after a change in the city’s retirement system – which triggered an isolated hiring uptick – but outside of that Beno said about two per year are added to a staff of 100. As for the condition of the infrastructure, his assessment was relative in nature. “I would go on the average side, in the middle,” Beno said. “There are plenty of cities around that have worse streets than we do. Definitely, our infrastructure under the streets is very old. We’ve been doing four of five streets of water mains per year that get replaced, and the sewers now take up a lot of time – 100-year-old sewer pipes that aren’t straight, flat and round anymore. Summers, who’s up for re-election later this year, deemed things a C-plus overall; while City Engineer Mark Papke said the pavement condition rating has remained within a “fair” range for the last several years while allowing that some streets need more maintenance than others due to traffic flow. “With that type of age, it takes more care and maintenance,” Papke said. 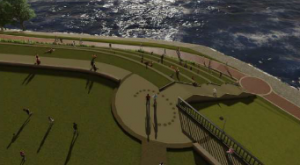 Among the city’s ongoing projects are a $1.5 million endeavor at Lakewood Park that will create promenades to increase lakefront access and add benches along the “Solstice Steps” between the constructed areas. Also, to help solve the problem of sanitary sewer overflows that pollute the Rocky River and Lake Erie, Lakewood plans to dye-test and use video cameras on sewers leading from nearly 300 homes, many of which may have improperly connected sewer and storm water pipes. Elsewhere, in order to enhance the aforementioned “walking culture,” Summers said the city is in year three of a 10-year plan in which potential trip hazards on each of the 180 miles of sidewalks are systematically being discovered, assessed and eliminated. Going forward, though he conceded many of today’s maintenance issues will still exist, Summers said some interesting opportunities to get the city closer to energy neutrality might be out there, too. WHAT: City in Cuyahoga County that is part of the greater Cleveland metropolitan area and had a population of 52,131 at the time of the 2010 U.S. Census, making it the county’s third-largest city behind Cleveland (396,815) and Parma (81,601).